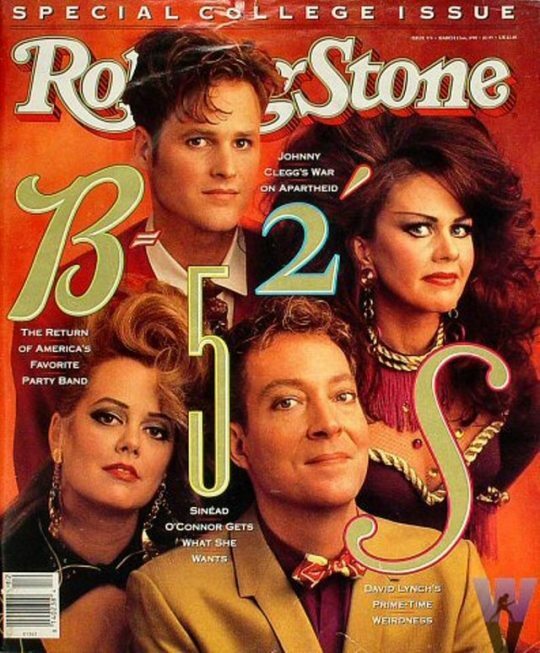 I think it says everything about The B-52’s aesthetic that they performed on television with duct tape on their instruments (you can see a clear close up of Ricky Wilson’s mended guitar near the end of the video below.) They didn’t mind looking trashy like that because trash was their thing; fright wigs, thrift store dresses, the dregs of 1960’s pop culture. And most important to their success, total joy. They were really a tall cold drink of loopy juice at a time when most bands took their posturing very seriously. Rock star posturing is fun, though! Camp is fun! Wigs are fun! Inspiring edgy movies about male prostitutes with mommy issues is fun! Ok, you lost me at Gus Van Sant, but whatever, it’s all in fun.